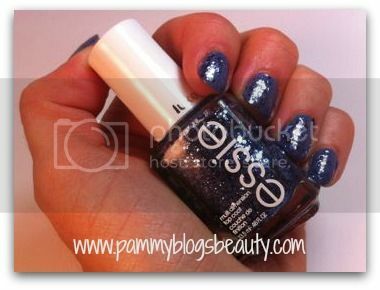 Pammy Blogs Beauty: The "Metro Atlanta Beauty Bloggers" Weekly Question: What is Your Favorite Nail Polish Brand? The "Metro Atlanta Beauty Bloggers" Weekly Question: What is Your Favorite Nail Polish Brand? I think this is so hard to answer! In true Pammy fashion, I will give you a long and complicated answer to a short and simple question. Maybe it is the Speech-Language Pathologist in me (we tend to be a wordy lot); but, I just can't seem to be brief in my posts. Pontificating on nail color is a pure pleasure for me! If you want to cut to the chase, skip to the bottom of this post for my short answer. Or, if you want to join me for a nail-polish loving tangent, put your (polished) feet up, grab a cup of coffee, and read on! I seem to like about a million brands of nail polish!!! How can I choose when there are so many amazing polishes out there. There are gorgeous colors everywhere I turn. It seems to me that I have favorite polish shades from just about every major nail polish brand (both drugstore and mid-high end brands). What really gets me? Unique colors. Sure, I love basics. But oh how I swoon for a unique shade of polish!!! I am pretty obsessed with nail color actually. As much as I *heart* neutrals for face makeup, you can almost always find color on my tips and toes. Nail Color is such a form of artistic everyday self-expression. Some days I honestly just look down at my nail color and sign and give a little smile. Color has the power to impact your mood. I tend to choose colors that I love and just make me happy! So, what brands do I love? It might be easier to just tell you what I am loving at the moment. I have polishes from a huge range of brands in a whole rainbow array of colors to suit my mood and the season. What do I like? What brands? What colors? For example, right now I am wearing Nicole by OPI's Mer-Maid For Each Other (new for Fall and exclusive to Target! gorgeous metallic green/yellow duo chrome). Usually I have my next nail polish waiting in the wings...What is up next? 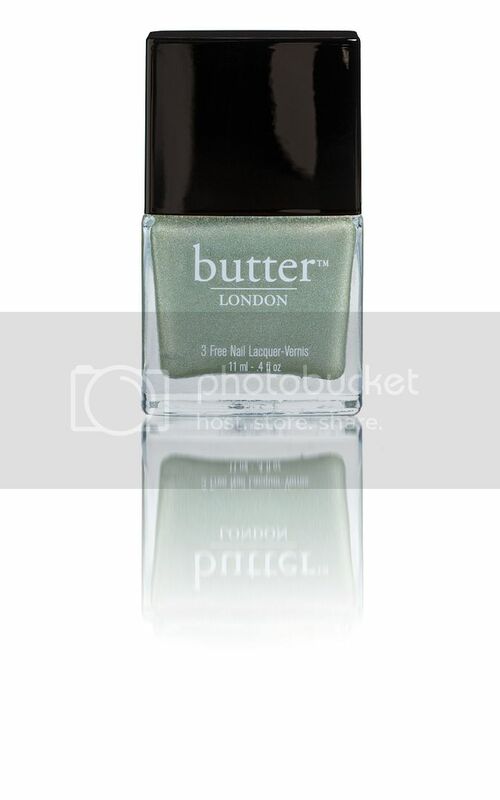 Two new polishes for Fall from butter London: Gobsmacked and Trustafarian. OMG, these are gorgeous (review coming soon!). On my toes? An old favorite and my annual go-to polish for my toes...it is the most beautiful Barbie pink...what is it? Orly's 30 year Anniversary polish in Sterling Silver Rose. Seriously, this polish is like at least 5 years old. That is the beauty of nail polish in the world of makeup collecting, it never seems to go bad! Besides the polishes that I mentioned, what is hot for Fall? Blues! Here are some of my faves in a variety of finishes: essies' stroke of brilliance glitter topcoat, Pure Ice's French Kiss, Sinful Colors's Rain Storm, and Sinful Colors Lavender. What are my favorite polish brands? I will name a few: OPI, Nicole by OPI, Butter London, Julep, Milani, Sinful Colors, Pure Ice, Revlon, essie, MAC, China Glaze, Rimmel, Zoya, and Wet n' Wild. I know there are more. These are just those popping into the front of my mind right now. Thanks for joining me for this weekly question! If you are a fellow nail lover, be sure to check out the rest of the posts linked below from the Metro Atlanta Beauty Bloggers! and others I got as samples. Your answer is so fun and unique! I can't wait to check out the new butter Londons you mentioned, too - the BOGOF at Ulta is coming up!! YAY!